Wondering where to eat after saying “I do”? As an NYC elopement photographer, I’ve joined hundreds of couples for their intimate receptions around the city. I’m constantly on the lookout to expand my list of the best elopement restaurants NYC has to offer! What neighborhood do you need to be in? What kind of food do you want served? Do you want a private or a semi-private space? How much do you want to style the space? While I can’t list every fantastic restaurant option out there, I can name some of the best elopement restaurants NYC has to offer. Here are three really solid choices that might be just what you’re looking for. This Carroll Gardens Italian restaurant serves family-style meals in a private carriage house out back that seats around 60 people. The addition of a seasonal tented opening extends the capacity to around 100. The rest of the space behind the restaurant is a patio garden that some couples will use for their ceremony, for cocktail hour mingling, or for an extended setup for dessert and dancing. While the space comes with a lot of charm built in, most couples opt to style it out with floral arrangements, place settings, and other personal touches. I must love old carriage houses, because Haven’s Kitchen is another great restaurant located in one. Near Union Square in Manhattan, this spot is mostly known for its first floor sustainable farm-to-table cooking school and its third floor loft event space. 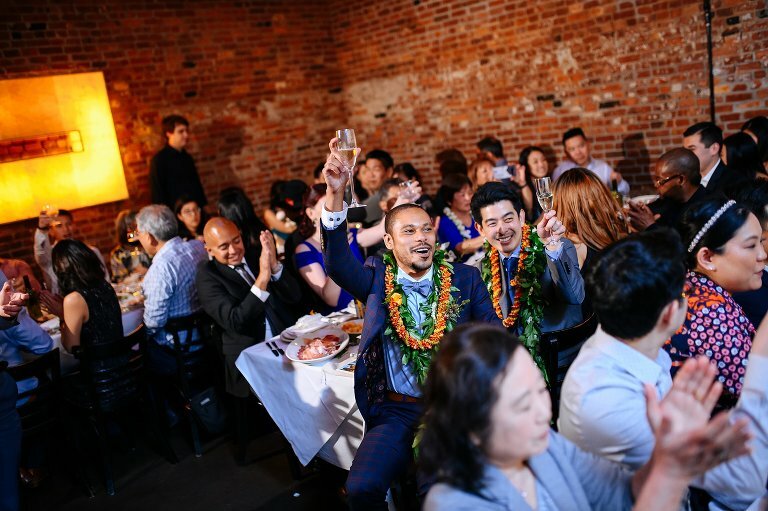 The private dining room on the second floor for up to 40 people is the true hidden gem for anyone eloping, though! A huge bonus to this space is the bar/fireplace area that takes up the rest of the second floor, which makes for a fantastic spot for an intimate ceremony or a laid back mingling over some farm-fresh cocktails. 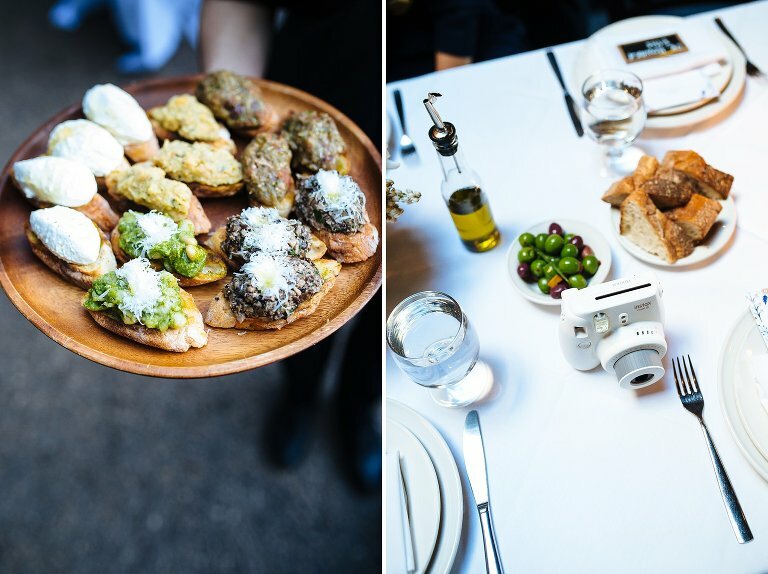 I recently stumbled into this West Village Italian restaurant on a recent elopement and the private dining room in the back really blew me away. This hip space is definitely for a smaller crowd, maybe up to 14 total, but it has some really great styling and could stand pretty well on its own. But what about all the other amazing restaurants in NYC? Can they host elopement receptions? 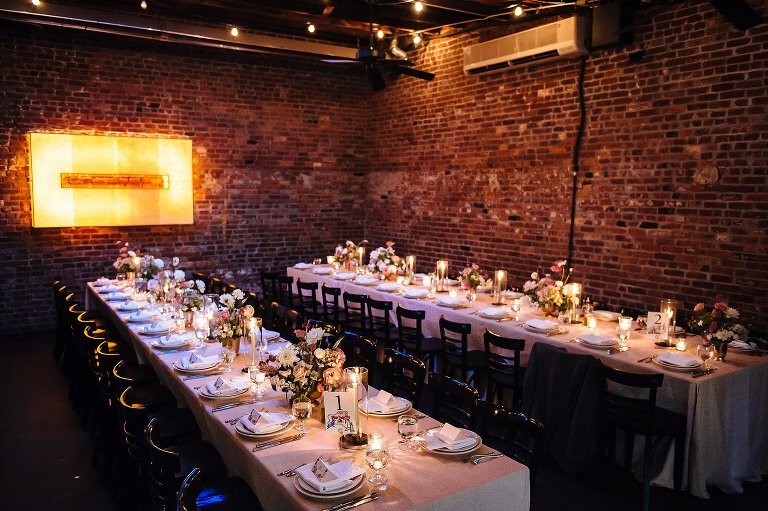 While there are a number of NYC restaurants that are well-known for having an amazing dedicated space for private dining, you don’t need to limit your search to these exclusive setups. Almost any restaurant will entertain the idea of booking out the entire space, even if they’ve never hosted a private event before. So let your taste buds guide you, and don’t be afraid to approach your favorite neighborhood spot!